The mountain, or eastern Bongo is one of the rarest large mammals in Africa. Probably 100 or fewer adult individuals remain in the wild. It is found only in Kenya, split across four isolated mountain forest areas. With the expansion of local populations nearby, these forests all are compromised by human activities. Threats range from illegal logging and charcoal burning to bushmeat hunting with dogs and snares. The Bongo Surveillance Project was founded in 2004 in the Aberdares to study and protect this fragile population. It now operates in all four areas, monitoring the bongo populations and human activities in the forests. Local trackers identify the areas most used by the bongos, while camera traps provide images of these elusive animals. The project also works with local communities, setting up Bongo Wildlife Clubs. These are based at schools near to known bongo locations, reaching over 1,000 people in these critical sites. The clubs run an environmental education programme, using Tusk’s own PACE materials. They also help to set up a range of community projects including bee keeping, fish farming, tree nurseries and water conservation. Tusk provides crucial core funding which allows the Bongo Surveillance Project to conduct its monitoring and outreach activities. Support is particularly directed to the ongoing costs of the 13 Bongo Wildlife Clubs which provide an opportunity to make a lasting contribution to conservation by protecting the bongo and its natural habitat. 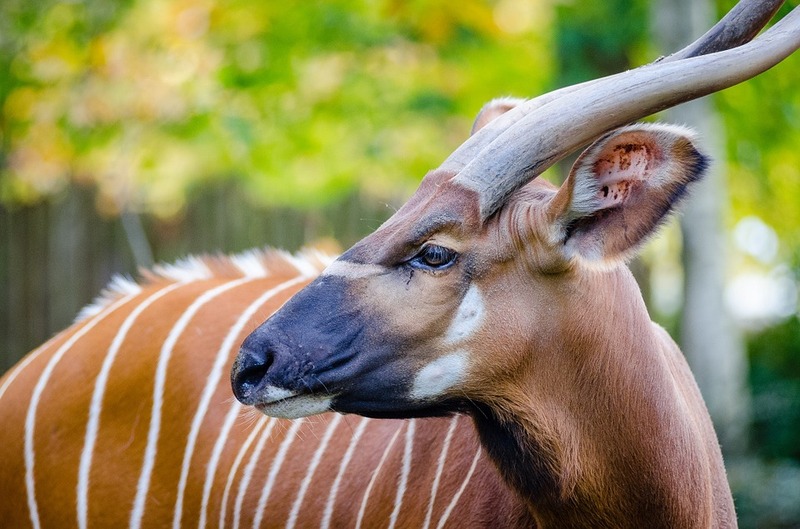 The Mountain Bongo remains on the verge of extinction. This work must continue if we are to stop it being lost forever.